The Oromo of Ethiopia have a saying "you can't wake a person who's pretending to sleep." We are consuming natural resources at a rate faster than the Earth is replenishing them. Recent data shows we are currently consuming the equilalent of 1.5 planets to support human activity. With more than $1.2 million in grants to 157 different charitable organizations throughout Arizona, Phoenix Suns Charities marks a milestone of over $10 million in donations since its 1988 inception. The Phoenix Suns Charities Program Grants range from $1,000 to $10,000 plus The Playmaker Award that is $100,000 grant. ZoomGrants online technology helped steamline the process in facilitating 157 different grants last year. Smart technology that benefits people, planet and profit is clearly a best practice in Corporate Social Responsibility. The importance placed on maintaining environmental standards at the Ground Zero site includes protections for the Hudson River and the East River, which are only 600 feet and 3000 feet respectively away from the 16 block site. 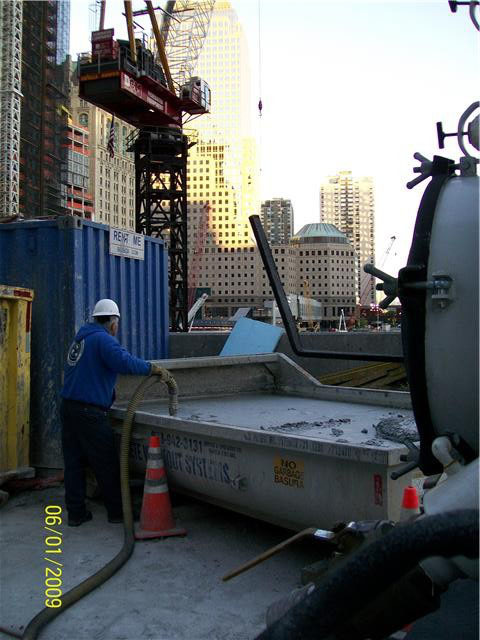 New York Concrete Washout Systems containment system has been used on the site to capture toxic washout for proper disposal in order to provide further measures to ensure compliance with the Clean Water Act and in keeping with the spirit of green building taking place. Capturing washout and keeping it from waterways is critical to human health and protecting wildlife. Concrete or cementitious (mortar, grout, plaster, stucco, cement, slurry) wastewater is caustic and considered to be corrosive with a pH over 12, essentially the same as Liquid Drano®, Ammonia or other household cleaning detergents. The primary ingredient in ready mixed concrete is Portland Cement, which consists of Portland Cement Clinker, Calcium Sulfate, Calcium and Magnesium Oxide, heavy metals and potassium and sodium sulfate compounds, chromium compounds and nickel compounds. Some of the contaminants contained within concrete washwater include; Aluminum, Barium, Chromium, Hexavalent Chromium (Chromium 6), Copper, Iron, Magnesium, Manganese, Nickel, Potassium, Selenium, Sodium, Vanadium, and Zinc. The 1 World Trade Center (Freedom Tower) captures both the patriotic spirit of its name and environmental spirit of green building. One World Trade Center's height is 1,776 feet and it towers 102 stories above Lower Manhattan, standing as the tallest building in the city. It also reaches for the highest level of green building in its design, which includes a number of sustainable elements built in to its state of the art features. 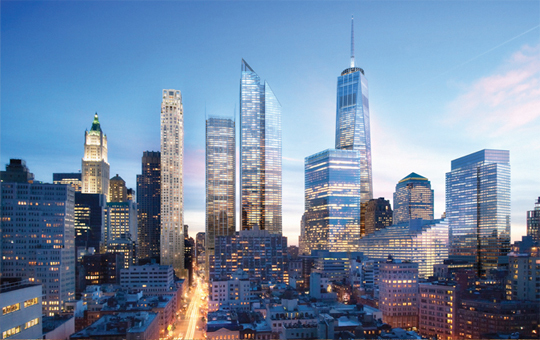 Rising like a phoenix, 1 World Trade Center has sixty-nine floors of class-A office space, a lobby with expansive 80-foot ceilings, television broadcast floors, an observation deck and a number of restaurants. The sustainable elements built in to the design have created a world class structure befitting a city that never sleeps. The green aspects include the best sustainable technologies available, including recycled construction materials, interior daylighting, energy-efficient windows, state of the art HVAC, and other management systems. The 1 World Trade Center's memorable combination of ultra-modern design and super-sustainable efficiency make it a centerpiece for not only the Financial District, Lower Manhattan, and New York, but also reflect the immutable American spirit of the US. About a third of water utility managers say they are in the early stages of adopting smart meters, despite the fact that 71 percent of water users say that having more detailed information on their water consumption would promote better water conservation, according to a report from Oracle. 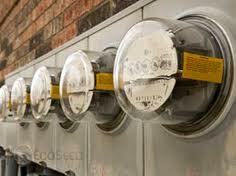 Still, water utility managers do see the long-range benefits in adoption smart meters. Those considering or already implementing smart meter technologies said their top concerns were capital costs (75 percent), operating costs (62 percent), reliability of the technology (56 percent), incremental costs to customers (54 percent) and service quality (50 percent). The Network for Business Sustainability's Leadership Council listed identifying business risks associated with water as one of the top seven trends in sustainability in 2010. New rules under (environmentalleader.com) discussion with accounting standards organizations could require businesses to publish their environmental and social impacts together with their financial disclosures, reports The Guardian. These means businesses would have to account for their impact on local water quality, plants and animals. These new regulations and standards are now being discussed with both the International Accounting Standards Board (IASB) and the UK accounting organization, according to The Guardian. The initiative was revealed as a major report, "The Economics of ecosystems and Biodiversity (TEEB)", for the UN was released indicating that companies are causing significant damage to the “living fabric of this planet” and posing significant risks to their own profits. In December last year, the American Institute of Certified Public Accountants (AICPA) and 14 other global accounting organizations called on political leaders to establish universal accounting standards o financial information related to climate change. A recent report from Ernst & Young reveals in a survey of more than 1,000 U.S. public registrants with revenues between $1 billion and $100 billion that just 29 companies disclosed an accounting policy related to emissions credit or allowances in their financial statement. Earlier this year, the Securities and Exchange Commission (SEC) ruled that publicly traded companies must warn investors about serious risks from climate change to their operations. Richard Spencer, head of sustainability for the Institute of Chartered Accountants in the UK, told The Guardian compulsory reporting was only one of many ideas such as regulation or voluntary standards that would encourage businesses to change their behavior. Pavan Sukhdev, the study leader said in the article that exposing companies to such scrutiny would motivate more of them to follow the “leaders” in monitoring and improving their operations. Joshua Bishop, the TEEB for Business report coordinator and Chief Economist of IUCN, also told The Guardian that better accounting of business impacts on biodiversity will be essential to drive changes in business investments and operations. A study from Trucost estimates the cost of environmental damageby 3,000 of the world’s biggest companies at about $2.2 trillion in 2008. What is CSR Communications? Is it cause-marketing? Is it the promotion of corporate philanthropy? Is it distributing a press release when your employees engage in a major volunteer program? Or is it the creation an annual sustainability report that showcases your firm’s environmental footprint, fair labor practices, and energy consumption, among other items? Actually, it is all of these and much, much more. CSR Communications involves every key department of an organization and its practice is ongoing with significant long-term goals. The agenda must be developed from the top down and bottom up and must continually be reviewed by internal and external stakeholders in order to be credible and reliable. Strive to be authentic – do not try to be a company you are not. Be honest. You will gain much greater respect if you are candid. Solicit support from all internal departments and consider creating an employee task-force representing many facets of the business. Employees will want to help and contribute if it’s supported from the top of the organization. Consider working with a reputable outside firm to help you weed through all the different processes. You will need to review environmental, labor and safety practices along with the make-up of your supply-chain. There are long-standing, well-known firms such as PricewaterhouseCoopers and Ernst & Young, and many others including The Taiga Company and SustAinability. 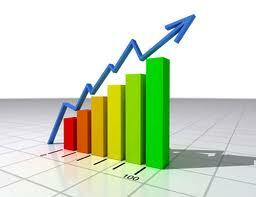 Working with senior management, create a list of your company’s sustainability commitments. Doing so will enable you to map your strategy going forward. These will be your guiding principles. Determine your audience. Who do you want to reach with your messages? Review and prioritize. Your list should include employees, partners, customers, media, financial analysts, donors (if applicable), resellers, and shareholders. How will you communicate with them? Be cognizant that it should be a two-way street. In today’s world of social media, no communications plan should be “one to many,” but rather an open dialogue between all interested parties. Create your means for measurement and reporting. Develop key performance indicators (KPIs) you wish to track and set up a timeline so that you are consistent in your reporting. Consider engaging a communications firm that specializes in CSR. There are currently many reputable agencies from which to choose. A few that come to mind include Edelman, Fleishman Hillard, and Cone, among others. Continue to fine-tune and evolve your strategy and consider trying some of the very innovative new CSR communications platforms that exist on the market today. Ask, poll and inquire – Engage with your peers and your stakeholders as often as you can. Attend industry events such as CERES, Boston College Center for Corporate Citizenship and BSR conferences. 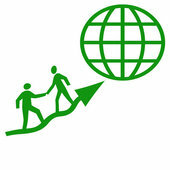 Join social networks, set up CSR RSS feeds and follow #CSR and #Sustainability on Twitter. Also, connect and follow key CSR thought-leaders and blog sites such as @elainecohen @fabianpattberg @realizedworth @OKL @justmeans @csrwire @3blmedia @vaultcsr and @davidcoethica and @alicekorngold and many more. PLANET PROGRESS - From Grain to Glass: New Belgium Brewing from iNDIGO PROjECT on Vimeo.